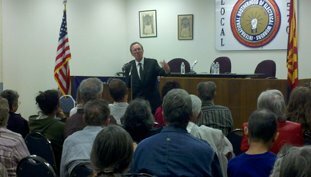 John Nichols at the IBEW Hall in Tucson. Author and commentator John Nichols of The Nation will make his annual trek to Tucson for the Festival of Books, but this year, he’s bringing his colleagues. To mark it’s 150th birthday, The Nation is doing a celebration tour that includes several events in Tucson. Check out the complete list of Tucson events with Nichols and other inspirational speakers from The Nation. There also will be a regional premiere of the documentary Hot Type: 150 Years of The Nation at The Loft on Sunday, March 15 (details below). The Nation will have a booth (#153) at the Tucson Festival of Books on March 14th & 15th on the University of Arizona campus. Come visit us! 11:30 am: Nation columnist Katha Pollitt discusses her latest book, Pro: Reclaiming Abortion Rights. Seating on a first-come, first-served basis. 1 pm: Nation political writers John Nichols and Lee Fang lead an intimate investigative reporting workshop. Seating on a first-come, first-served basis. 4 pm: “The Nation: 150 Years of Ideas”, a Nation anniversary panel discussion with John Nichols, Katha Pollitt, Lee Fang, and Congressman Raul Grijalva. A limited number of reserved tickets will be available on tucsonfestivalofbooks.org in early March. This session will be broadcast live on C-SPAN’s Book TV. 7 pm: Progressive Democrats of America (PDA) Tucson hosts John Nichols. If you want to avoid the crowds and the parking hassles at the Tucson Festival of Books, stop by the PDA event to hear Nichols. When he is in town, Nichols always stops by the union hall to inspire progressive ground troupes. This is the fourth year the PDA Tucson has hosted Nichols. Join PDA at the IBEW hall, 750 S. Tucson Blvd. Doors will open at 6:30 and program will start at 7 pm. Facebook event here. 1 pm: John Nichols and Lee Fang discuss the future of politics with New York Times Magazine correspondent Mark Leibovich and former Republican Congressman Mickey Edwards. A limited number of reserved tickets will be available on tucsonfestivalofbooks.orgin early March. This session will be broadcast live on C-SPAN’s Book TV. 1 pm: Katha Pollitt, will lead a small group poetry workshop. Seating on a first-come, first-served basis. 4 pm: Noam Chomsky in conversation with John Nichols, co-sponsored by the University of Arizona’s College of Social & Behavioral Sciences. Reserve free tickets in person beginning at noon on the day of the event at the Centennial Hall box office. Tickets for reserved seats and a small reception afterwards available for $100:web.sbs.arizona.edu/college/chomsky. 7 pm: Regional premier screening at the Loft Cinema of Oscar-winner Barbara Kopple’s new documentary, Hot Type: 150 Years of The Nation. John Nichols will lead a Q&A session following the film—Katha Pollitt and Lee Fang will also be in attendance. Purchase tickets for $9.25 at loftcinema.com. Please visit tucsonfestivalofbooks.org for specific room locations. We are very much looking forward to seeing you in Tucson! 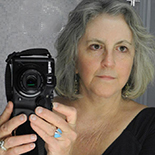 This entry was posted on March 3, 2015 by Pamela Powers Hannley in Arizona, Austerity, democracy, equality, Free Speech, Politics, Progressive Democrats of America, reform, Tucson, Video and tagged John Nichols, PDA, Progressive Democrats of America.